Small - $34.99 Only 6 left! Large - $34.99 Only 7 left! X-Large - $34.99 Only 9 left! That’s a little song we wrote about our favorite horror movie character, Chucky. Hey, are you a “Good Guy” too? Do you want nothing more than to be an inanimate toy that’s bent on the destruction of those around you? Well, perhaps it’s time that you took inspiration from the Child’s Play movies. 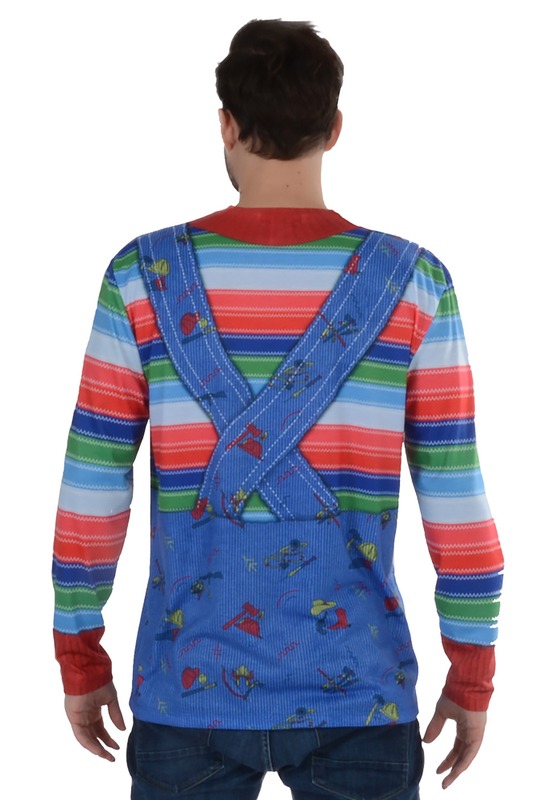 This Chucky long sleeve costume t-shirt is the easiest way to cosplay as your favorite murder-happy doll. 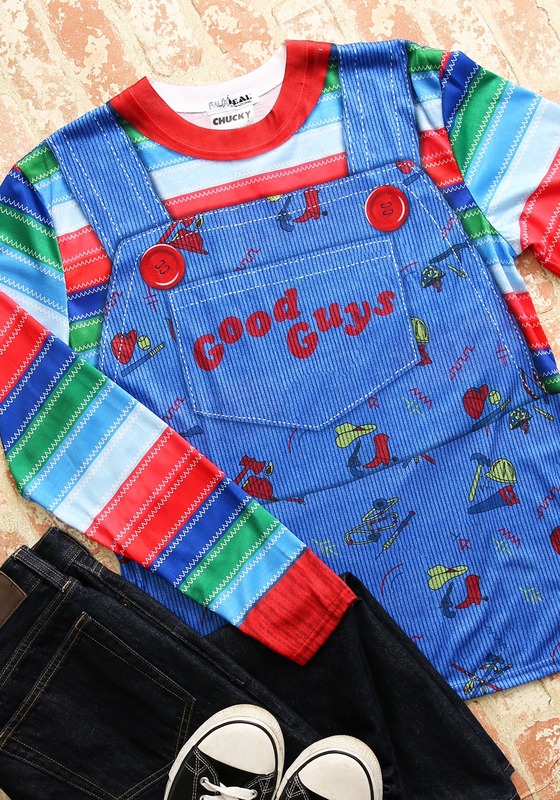 It has a sublimated pattern on the exterior, which is designed to look like Chucky’s striped shirt and overalls.It even has “Good Guys” printed on the front of it. Just toss it on with your favorite pair of jeans and you’re ready to be the star or a horror movie! You can accessorize this with one of our toy weapons or you can check out some of our Bride of Chucky style costumes to create a couples look. Either way, Chucky is coming.